I had an interesting email from Juliette Garside with a coincidence about the number 23. The gist of the story was that Julliette had been seeing the number 23 all over the place during the last few weeks. I'm not a numerologist and must admit I don't know a lot about specific numbers, though I have heard of the 23 enigma. As I was born on July 23, I thought it might be interesting to hunt through to see if I could find any significance to this number. (1) The first thing I found was that the Ancient Egyptians welcomed a New Year on July 23, this is supposedly the day Sirius rises behind the sun. (2) I then read that the author William Burroughs was obsessed with coincidence and the number 23, so much so that he kept a record of his findings. The story is that Burroughs first got to thinking about the number's 'power' when a Captain Clark told him he had run a ferry from Spain to Morocco without any problems for 23 years. Hours later his ferry sank and the Captain was killed. While Burroughs was pondering this example there was a bulletin on the radio announcing the crash of an airliner in Florida, USA. The pilot was another captain Clark and it was Flight 23. So I dug further and here are a few other 23 coincidences, some more serious than others. (3) The great William Shakespeare was born on April 23 and also popped his clogs on April 23. (4) So Shakespeare had two 23s in his life and 2 x 23 = 46. If we take a copy of a Bible and turn to Psalm 46 and count 46 words from the beginning this will arrive at the word 'shake'. If we do a similar thing at the end of the same Psalm - this time counting back 46 words the word you will find is 'spear'. And, of course if you put 'shake' and 'spear' together you get - well I'm sure you can work that out! (5) Staying on a Bible theme the first Morse code transmission was said to have been 'What hath God Wrought'. And this is from Numbers 23:23. (6) The Knights Templar had 23 Grand Masters. (7) The Japanese car manufacturer Nissan must believe in the power of 23 because 'ni' is 2 and 'san' is 3 in Japanese. So Nissan is 23, well sort of. (8) The Latin alphabet has 23 letters. (9) In the movie Airport the bomber has seat 23. (10) The earth rotates on an axis or 23 and a half degrees. (11) Julius Caesar was stabbed 23 times when he was assassinated, though not too sure how we can be absolutely certain of this. 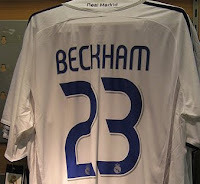 (12) David Beckham, probably the most famous soccer player, has 23 on his football shirt. (13) Michael Jordan also wore the number 23 for the Chicago Bulls - and his father was murdered on July 23. (14) Also on July 23 (1996) the Mysterious Eyes of the comet Hale-Bopp were first noticed. (15) It takes 23 seconds for the blood to circulate throughout the body. (16) In the movie Die Hard III the train is derailed in subway station 23. (17) 23dians are a group who see 23 in various combinations during daily life and subscribe to the mystical power of 23. (18) Each parent contributes 23 chromosomes at the start of a new life. Egg and sperm cells in humans each have 23 chromosomes - these fuse and divide to create an embryo. (19) W is the 23rd letter of the alphabet and has two points downward and three points upwards. (20) The Biorhythm cycle is normally 23 days. (21) December 23, 2012 is the date feared by many. The end of the Mayan calender. (22) Adolf Hitler organized the National Socialist Congress on January 23. (23) In mathematics 23 is the first Prime Number in which both digits are Prime Numbers and add up to another Prime Number. I finished the examples with the one above, counted the number I had written and there were 23 - so I decided to number them! Some will say that we can always find stuff about any chosen number but sometimes there are significant numbers in our lives. I am proud to be a 23 - well sort of, really I'm all 6s and 7s. Pretty cool Mike. Two of my kids are born on the 23rd and the last born the 29th (with the 9 in there I thought of 3 x 3), So I've always been wondering about the significance of that number. I continue to keep searching out more on the 23...so thanks for this post. 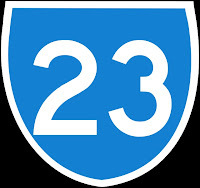 Thanks, have always found 23 a 'good' number. And, Rob and Trish, must get round to reading some of your older posts. However, Christianity classifies 23 as complete rebellion. Complete (10) + Rebellion (13) = 23. Once a person accepts numbers (like I did once) the ancestral spirits will make the person wake up at 11:23 PM. This has triple intensity. It has an ascension 1,1+0,1+1,1+2 = 1123. It has 23's with 23 minutes past 11 PM and in 24hr time it is 23:23. A second popular wake-up time is 01:23 AM because it is another ascension and 23 minutes past 1 AM. These ancestral spirits (fallen angels/nephil spirits) will insert similar numbers (1111, 555, 888 etc) into dreams as well, if allowed to. 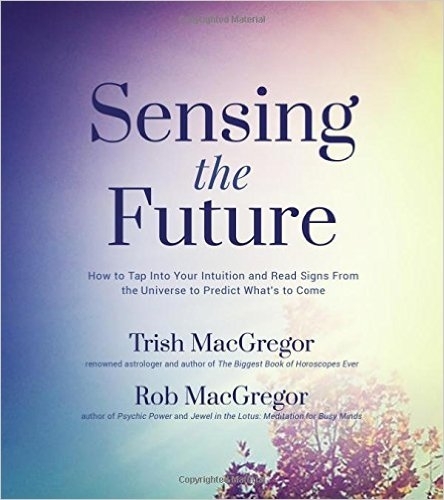 A major awakening is happening right now in terms of numerology and has been happening since 1991. It is rumoured to end on 1st Jan 2011. It is also rumoured that these numbers are not in relation to the future, but they are related to the past. Our ancestral ancestors are teaching us about the Fibonacci cycle or the ultimate origin of life where simple things like shells all resemble the Fibonacci curve. This same curve applies to the positioning of the Egyption Pyramids. "However, Christianity classifies 23 as complete rebellion. 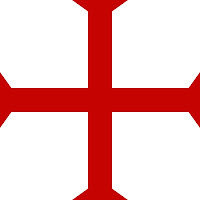 Complete (10) + Rebellion (13) = 23." I think Tristran may be right.I was born on 23rd Sept and I'm Jewish and while I love being part of the tribe my religious beliefs swing more towards Buddhism and the only forms of Christianity I can stomach are the Gnostic ones like The Liberal Catholic Church,which I happen to still be a member of.